H. Brandt Niehaus joined the firm in 1988 when it was Dial-Huff & Associates, Inc. and bought the firm and changed its name in January 1994. He has been in commercial real estate since 1983, but since joining the firm has worked exclusively with listing and selling hotel real estate investments. Projects worked on have been valued up to $500,000,000 from independents, limited service to over 560 +/- unit full service, and portfolio hotels. Niehaus represents sellers in conventional sales as well as lender-owned transactions for banks and institutions. Niehaus also provides opinions of values and consultation to many industry clients, including expert witness testimony. Niehaus was awarded Hotel Brokers International (HBI) 2018, 2017 and 2014 Broker of the Year, 2014 Largest Portfolio Sale Award and eleven time Regional Outstanding Broker of the Year for 2015, 2013, 2012, 2010, 2009, 2008, 2006, 2005, 2004, 2001 and 1998. He is a proud recipient of the Noah Canfield Distinguished Service Award by HBI. Since 1992 Niehaus has been a speaker at many industry annual and regional conferences including the Hunter Investment Conference in Atlanta, and the New York International Hotel & Restaurant Show, Indiana, Kentucky, and Ohio Chapters of the Appraisal Institute, Indiana University real estate class, educational conferences of HBI, and has served on speaker panels at AAHOA National and Regional conferences and the Kentucky and Indiana Hotel & Motel Association’s annual meetings. Niehaus has participated on panels at the following annual meetings: AAHOA, MLIS, NABHOOD, Best Western International, Lodging Conference and Vantage Hospitality. During his career, Niehaus has had articles published and has been interviewed and quoted many times by hospitality industry magazines and media outlets. Niehaus is a three time President of HBI Board of Directors, 1994, 2008 and 2015. He is a Certified Hotel Broker (CHB) and Certified Commercial Investment Member (CCIM). 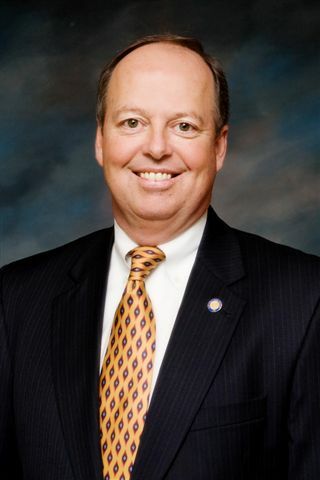 Niehaus holds a BBA and MBA from the University of Kentucky. His brokerage office is in Louisville, Kentucky. "I’ve worked off and on with Brandt as a top resource on hotel real estate for nearly 20 years. Whenever I need a source in the Midwest to comment knowledgeably on hotel real estate, he has become my go-to guy. He knows the markets, he has the data to back up his opinions and he is always right on target. His integrity is evident in that he’s turned down several major interviews when he did not feel that he had something of value to add. He’s always been straightforward…not to mention a good guy to work with."